Dark Horses, Elephant Stone, Sons Of Hippies, and more! 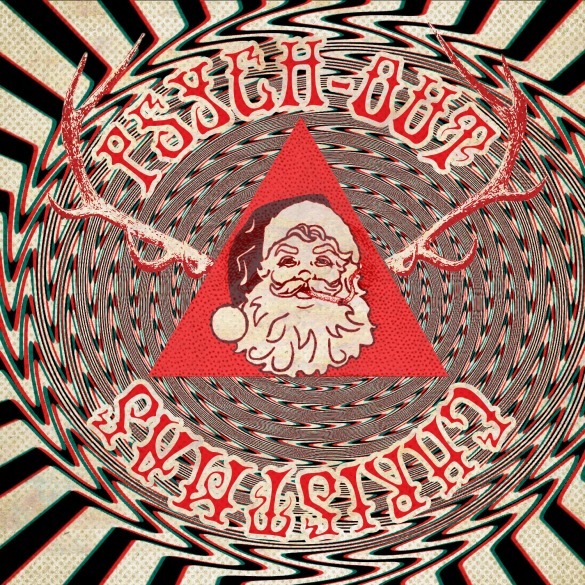 Los Angeles, CA – The 2013 holiday season is about to get a whole lot trippier with the release of Cleopatra Record’s Psych-Out Christmas, a brand new compilation of spaced out, psychedelic interpretations of Christmas classics and new holiday favorites performed by a team of current psych-space rock bands from around the globe! The compilation is available now on both CD & vinyl at all fine music retailers as well as for download at iTunes and other digital music retailers. Canadian indie rockers Elephant Stone kick things off with a sitar-infused version of the beloved Beatles’ holiday singalong “Christmas Time (Is Here Again),” followed by Sweden’s own Dark Horses turning in an original piece composed specifically for this compilation, the wintry, ethereal ballad “Jul Song.” Another Swedish band, The Movements, whose new album was released earlier this year by Cleopatra, offer a uniquely drumless take on “Little Drummer Boy” that swirls with fuzzy guitars and dreamy synths to create a headswimming sugar plum hum. Alongside these newcomers, a few veterans join in the mix, including long time garage rock heroes The Fuzztones, and the original wild man himself Iggy Pop! Fans of these great artists, as well as anyone looking for a break from the traditional ho-hum Christmas album, is sure to find stocking full of surprises on this great release!